Plumbing Stack Cover/Shroud Width; 6" Lenght; 7.5" Height; 2.25". Constructed of impact resistant, durable ABS plastic. Withstands damage from hail and small tree branches. One-piece design eliminates lost vent caps. 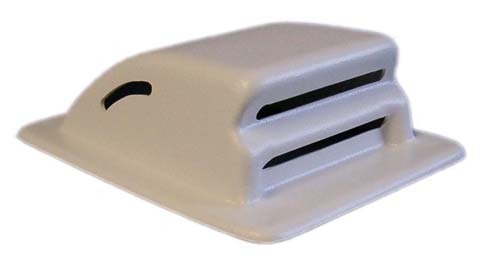 Vent cover prevents odors from entering RV by creating a vacuum while RV is moving. Fits 1¼, 1½ and 2 inch vent pipes.